This 8" x 10" fine art print was made from an original ink, colored pencil, and chalk pastel drawing. The original was done for the "Myth"-themed show at ZaPow Gallery in Asheville, NC. 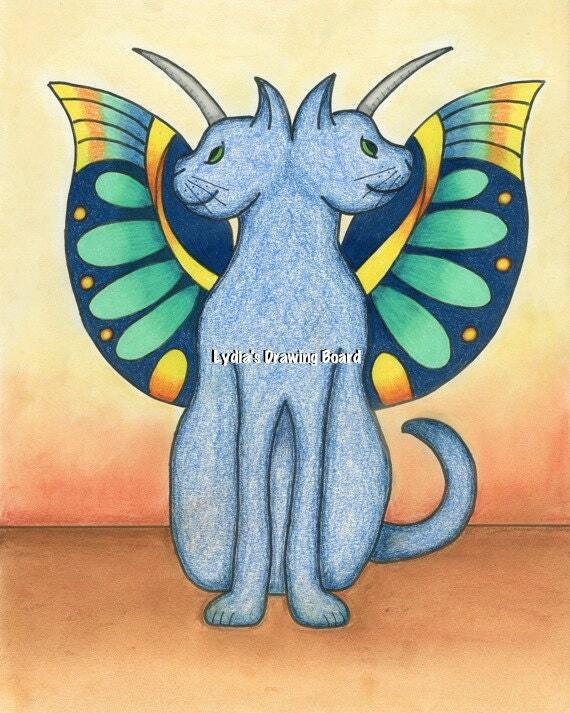 It is a Janus cat with horns and wings.